Psychology and law is an extremely broad topic area that includes many basic and applied research areas; applied topics in mental health, memory, and jury behavior; and evaluation of laws and legal processes. Due to the diversity of topics within these areas, conclusive definitions that satisfy everyone in the field remain elusive. However, to incorporate this diversity, Ogloff and Finkelman (1999) defined the field as “the scientific study of the effect the law has on people and the effect people have on the law” (p. 3). This section provides a concise presentation of the field, including an overview of human interactions with the law, tensions between psychology and the law, and a brief history of the field. This section also presents a description of the basic roles of psychologists in the legal system, career options, and overviews of some prominent research areas in psychology and the law. The section concludes with a discussion of additional current and future research areas in psychology and the law. In line with general psychological approaches across fields, psychologists who study psychology and the law emphasize the behavior, cognition, emotions, and experiences of individuals involved in the legal system. Of course, all individuals within reach of the United States legal system are involved to some degree. The involvement appears evident for police officers, lawyers, judges, defendants, corrections officers, trial consultants, and others who work in or are assessed by the legal system. Some relationships within the legal system are less evident. Read more about Human Interactions with the Law. The science of psychology exists in a state of tension with the legal system in many ways (Ogloff & Finkelman, 1999). Fundamentally, the goals and processes of investigation in science differ substantially from those of investigation in the law. First, science is inductive. Researchers examine data from many field studies, correlational studies, and experiments and draw tentative, probabilistic conclusions. The law wants an answer that is, at least in criminal law, beyond a reasonable doubt. Read more about Tensions between Psychology and the Law. There are several general roles for psychologists in the legal system, and many specific careers exist in psychology in the law (Bottoms, et al., 1004). More generally, psychological researchers can impact the law in a variety of ways. Basic researchers, scientists who seek general or basic knowledge for its own sake, and applied researchers, scientists who study practical problems, can significantly influence the legal system. Although these basic and applied approaches appear to be different, they exist as two ends of the same continuum. Basic researchers inform the legal system by increasing the available knowledge on topics such as memory, human cognition, and social influence. Although research on the effects of different retention intervals on the recall of word lists does not appear to address issues in psychology and the law, such research contributes to the general body of knowledge related to memory. 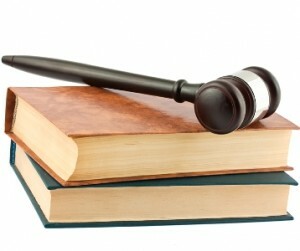 Read more about Roles of Psychologists in the Legal System. Questions of potential interactions between psychology and the law existed long before the founding of the United States or the establishment of a separate United State legal system. For example, Francis Bacon (1857) expressed concerns that inappropriate psychological motives held by some actors in the legal system could compromise the system. He suggested that the law should consider natural human tendencies when he said “revenge is a kind of wild justice, which the more Man’s nature runs to, the more ought the law to weed it out” (p. 46). Centuries passed between Bacon’s statement and the formal involvement of psychologists in the law. Read more about History of Interactions between Psychology and the Law. Practical problems drive many research areas in psychology and the law. Because legal investigators have used both simultaneous and sequential lineups when asking witnesses to identify suspects, researchers have evaluated the effectiveness and the inherent risks in each approach (Steblay, Dysart, Fulero, & Lindsay, 2001). Despite this consistent practical emphasis, researchers in psychology and the law also engage in theory testing. For example, Pennington and Hastie (1988) hypothesized that jurors prefer accounts of the events in question in a trial to fit a coherent story, and they tested jurors’ responses to trial materials that followed the chronological (i.e., story) order of the crime and trial materials organized in the order of the witnesses called. Jurors were more likely to decide verdicts in favor of the side (i.e., prosecution or defense) that presented materials in chronological order (Pennington & Hastie, 1988). 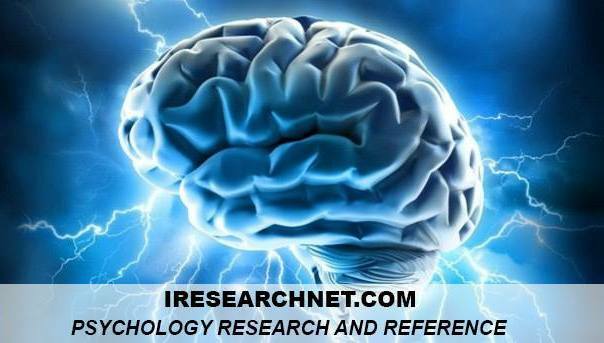 Researchers may also utilize theory from other areas of psychology. For example, eyewitness researchers borrow from general memory research to explain the ways that viewing books of mug shots can retroactively interfere with the original memory of the face of a perpetrator (Wells et al., 2006). Across many topics, eyewitness testimony remains a vivacious research area. The American Psychology-Law Society lists more than 1,400 references on the topic from 1883 and 2006. Eyewitness testimony research established roots as a research area in psychology over 100 years ago in Germany. Read more about Eyewitness Testimony. Repression is a psychological construct with roots in Freudian ego defenses, and repression has existed in the Diagnostic and Statistical Manual of Mental Disorders (DSM) through prior versions and into the current DSM-IV-TR in the diagnostic criteria for dissociative amnesia. Repression emerged into prominence in psychology and the law in the 1980s and 1990s with questions about repressed memories. Read more about Repressed Memory. Questions regarding pretrial publicity center on the tension between two guaranteed rights in the United States. The First Amendment to the Constitution allows freedom of the press, and the Sixth Amendment provides each defendant the right to a speedy trial before an impartial jury. When the press publicizes details of an ongoing investigation (e.g., prior convictions of the defendant, particular pieces of evidence, or a confession), the media expose potential jurors to these details. Read more about Pretrial Publicity. Interrogation rooms remain some of the most secretive locations in the United States legal system. Police undertake interrogation to discover the truth about a crime. Police, along with society at large, want guilty people to confess and innocent people to resist. The stakes are particularly high because a confession is even more powerful than eyewitness testimony in a criminal trial (Kassin & Gudjonsson, 2004). A confession increases the likelihood of guilty verdicts even when the confession is coerced through threats or promises and even when judges admonish (i.e., instruct) jurors to ignore the confession (Kassin & Gudjonsson, 2004). Read more about Interrogation and Confession. The jury has been one of the most mysterious forces in United States law. Critics have leveled extensive allegations that juries are unpredictable, unrepresentative of the population of the United States, biased, and irresponsible. Research into jury decision making has shed light on many phenomena in criminal and civil legal systems, but many questions remain. Read more about Jury Decision Making. The field of psychology and the law continues to grow in depth and in breadth. Psychologists seek new ways to develop the topics described here. For example, as their understanding of juries grows, psychologists will continue to investigate more complex issues in jury decision making such as the structure of complex trials, other sources of extralegal influence on jurors’ comprehension, and the ways that proposed legal reforms can affect jury behavior. New areas will also continue to emerge. Psychologists will step further into questions about the law at the end of life. How do people choose someone to make their legal decisions in case of medical incapacitation? How should physicians, psychologists, and attorneys assess the integrity of the decisions of an older adult or a person with medically induced cognitive disabilities? The social context will also drive research areas. The prominence of criminal profiling in the media may continue to drive interest and increase research attention in research, practice, and education. The areas described in this section elucidate only part of the story, and the field’s rapid growth has not showed signs of slowing. This section offered a concise overview of the field of psychology and the law. The effects of the legal system extend to citizens and noncitizens alike, and the power of the law to proscribe behavior suggests that it will be a central research topic for psychology into the indefinite future. Although the methods and goals of psychological science differ from those of the law in many important ways, researchers and lawmakers share similar goals. Broadly speaking, they want a more accurate and efficient legal system that better fits what psychologists have learned about human behavior. Students in this field have a wide variety of careers from which to choose. The dynamic history of the field attests to the potential for rapid change and the significant influence of productive individuals such as Loftus, Kassin, Greene, and Bornstein, to name only a few. The topic areas briefly described previously elucidate some possible areas, but the field is expanding rapidly, and new ideas and innovative research from today’s students will shape the future of the discipline. Bacon, F. (1857). Essay IV: Of revenge. In Richard Whately (Ed. ), Bacon’s essays: With annotations. London: John W. Parker and Son. Bornstein, B. H. (1999). The ecological validity of jury simula­tions: Is the jury still out? Law and Human Behavior, 23, 75-91. Bornstein, B., Whisenhunt, B., Nemeth, R., & Dunaway, D. (2002). Pretrial publicity and civil cases: A two-way street? Law and Human Behavior, 26, 3-17. Brigham, J. C., & Grisso, J. T. (2003). Forensic Psychology. In I. B. Weiner (Series Ed.) & D. K. Freedheim (Vol. Ed. ), Handbook of psychology: Vol. 1. The history of psychology (pp. 391-411). New York: Wiley. Chin, A., & Peterson, M. (1985). Deep pockets, empty pockets: Who wins in Cook County? Santa Monica, CA: The Rand Corporation. Devine, D., Clayton, L., Dunford, B., Seying, R., & Pryce, J. (2001). Jury decision making: 45 years of empirical research on deliberating groups. Psychology, Public Policy, and the Law, 7, 622-727. Fulero, S. M., & Penrod, S. D. (1990). Attorney jury selection folklore: What do they think and how can psychologists help? Forensic Reports, 3, 233-259. Greene, E., & Bornstein, B. (2003). Determining damages: The psychology of jury awards. Washington, DC: American Psychological Association. Greene, E., & Wade, R. (1988). Of private talk and public print: General pretrial publicity and juror decision making. Applied Cognitive Psychology, 2, 123-135. Kassin, S. M., & Fong, C. T. (1999). I’m innocent! Effects of training on judgments of truth and deception in the interro­gation room. Law and Human Behavior, 23, 499-516. Kassin, S. M., & Gudjonsson, G. H. (2004). The psychol­ogy of confessions: A review of the literature and issues. Psychological Science in the Public Interest, 5, 33-67. Konecni, V. J., & Ebbesen, E. B. (1979). External validity of research in legal psychology. Law and Human Behavior, 3, 39-70. Kramer, G. P., Kerr, N. L., & Carroll, J. S. (1990). Pretrial public­ity, judicial remedies, and jury bias. [Special issue: Law and the Media] Law and Human Behavior, 14, 409-138. Lieberman, J., & Sales, B. (2000). Jury instructions: Past, pres­ent, and future. Psychology, Public Policy, and the Law, 6, 587-590. MacCoun, R. J. (1996). Differential treatment of corporate defen­dants: An examination of the “deep-pockets” hypothesis. Law and Society Review, 30, 121-161. Mazzella, R., & Feingold, A. (1994). The effects of physical attractiveness, race, socioeconomic status, and gender of defendants and victims on judgments of mock jurors: A meta-analysis. Journal of Applied Social Psychology, 24, 1315-1344. Munsterberg, H. (1908). On the witness stand: Essays on psy­chology and crime. New York: Clark Boardman. Nicholson, R. A. (1999). Forensic assessment. In R. Roesch, S. D. Hart, & J. R. P. Ogloff (Eds. ), Psychology and the law: The state of the discipline (pp. 121-173). New York: Kluwer Academic/Plenum Publishers. Nietzel, M. T., McCarthy, D. M., & Kern, M. J. (1999). Juries: The current state of the empirical literature. In R. Roesch, S. D. Hart, & J. R. P. Ogloff (Eds. ), Psychology and law: The state of the discipline (pp. 23-52). New York: Kluwer Academic/Plenum Publishers. Ogloff, J. P. R., & Finkelman, D. (1999). Psychology and the law: An overview. In R. Roesch, S. D. Hart, & J. R. P. Ogloff (Eds. ), Psychology and the law: The state of the discipline (pp. 1-20). New York: Kluwer Academic/Plenum Publishers. Pennington, N., & Hastie, R. (1988). Explanation-based deci­sion making: Effects of memory structure on judgment. Journal of Experimental Psychology, Learning, Memory, and Cognition, 14, 521-533. Pickren, W. E., & Fowler, R. D. (2003). Professional organiza­tions. In I. B. Weiner (Series Ed.) & D. K. Freedheim (Vol. Ed. ), Handbook of psychology: Vol. 1. The history of psy­chology (pp. 535-554). New York: Wiley. Robbennolt, J. K. (2002). Punitive damage decision making: The decisions of citizens and trial court judges. Law and Human Behavior, 26, 315-341. Sporer, S. L. (2006). The science of eyewitness testimony has come of age. Psychological Science in the Public Interest, 7, i-ii. Steblay, N., Besirevic, J., Fulero, S., & Jiminez-Lorente, B. (1999). The effects of pretrial publicity on jury verdicts: A meta-analytic review. Law and Human Behavior, 23, 219-235. Steblay, N., Dysart, J., Fulero, S., & Lindsay, R. (2001). Eyewitness accuracy rates in sequential and simultaneous lineup presentation: A meta-analytic comparison. Law and Human Behavior, 25, 459-473. Studebaker, C. A., & Penrod, S. D. (1997). Pretrial publicity: The media, the law, and common sense. Psychology, Public Policy, and the Law, 2-3, 428-460. Studebaker, C., Robbenold, J., Penrod, S., Pathak-Sharma, M., Groscup, J., & Devenport, J. (2002). Studying pretrial pub­licity effects: New methods for improving ecological valid­ity. Law and Human Behavior, 26, 19-42. Wells, G. L., Memon, A., & Penrod, S. D. (2006). Eyewitness evidence: Improving its probative value. Psychological Science in the Public Interest, 7, 45-75. Winick, B. J. (2003). Therapeutic jurisprudence and problem-solving courts. Fordham Urban Law Journal, 30, 1055-1090.